Arla, the UK farmer-owned cooperative, has been recognised for its dairy industry standards programme at the British Dairying annual awards. Arla has won the Award for Innovation at the 2019 Cream Awards, for its innovative new Arla UK 360 programme to ensure sustainable production of dairy. Launched in October last year, Arla UK 360 seeks to create a fair supply chain. Developed and trialled by farmers, it will grow to become a standard to drive continued evolution in the sector through the six areas identified as essential to building a profitable and responsible dairy business. The 360 programme incorporates best practice in today's dairy farming across animal health and welfare, people development, environment and natural resources, community engagement and economic resilience and reinvestment. The programme builds on Arla’s farming standard ArlaGården. However, increasing challenges between protecting the environment, caring for animals, keeping dairy affordable for all and running a profitable business means that development and change must be 'continuous'. Graham Wilkinson, Agriculture Director at Arla Foods UK, said: “The intention is to grow support across retail and foodservice so that more farmers can join the programme. “From consumers, to production, to farmers, to cows, it’s in the best interests of everyone if we are all taking a share of responsibility for the food we eat and the way it is produced. “Innovation comes when the whole supply chain works together to capitalise on new technologies, shared experience and new research or thinking,” he said. 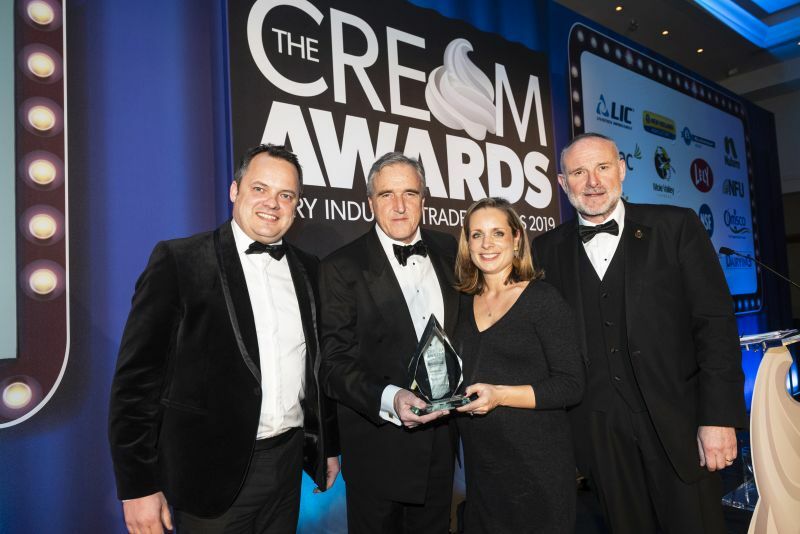 The Cream Awards recognise some of the brightest and best businesses and people across the dairy industry, aiming to drive positive thinking, highlight innovation and promote best practice in the industry.